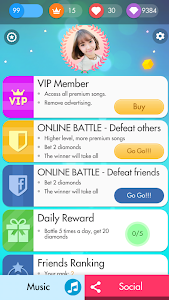 Get control of the song beat ?- Feel the music as you tap ?Explore the game and be the winner of our online piano game challenges with friends or in battles ? 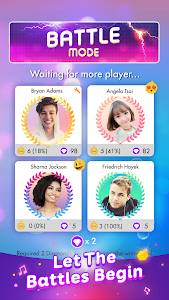 ?PIANO GAMES - FREE MUSIC PIANO CHALLENGE 2019 ? 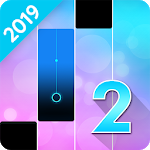 ?Tap on the dark tiles (piano keys) to feel the rhythm and chords, to form a pleasant rise-and-fall pattern of sounds. ?Remember, don’t touch the white tiles! ?For a complete music experience, headphone is recommended ? 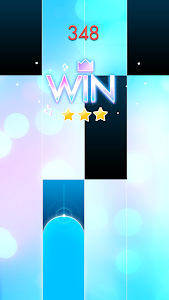 ?The beat and speed of the notes are interactive and controlled by your moves. 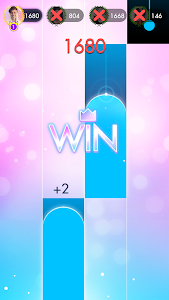 So it might be easy to tap the tiles, but difficult to master!
? 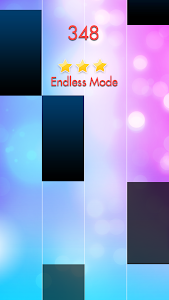 Battle mode: Challenge more than 10 million players around the world by catching on the piano magic tiles on high speed. The winner takes it all!
? Diverse list of songs from classic ones to the most popular ones, in piano versions. 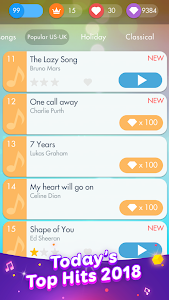 The songs are updated every week. You can choose from classical works like Fur Elise, Waltz, Canon in D, Moonlight Sonata, Turkish March, masterpieces of Mozart, Schubert, Tchaikovsky, Sebastian Bach, Franz Liszt, Debussy, Rachmaninoff, Mendelssohn, or Top Hits from the US, UK, J-Pop, K-Pop - You name it! 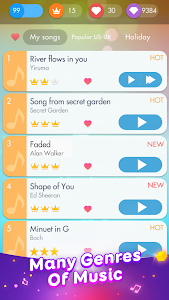 ?Song request: Suggest any piano songs you love, and we will find and present to to the game as fast as we can. 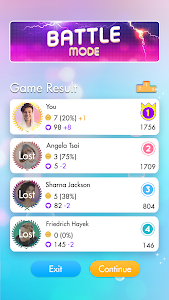 Similar to "Piano Games - Free Music Piano Challenge 2019"